For a while now, I have noted that many knitters were sharing their love of the craft with me, but had lost their ‘mojo’. Then there were those knitters that were not confident enough to try our new and wacky yarns. The no-mojo vibe I was seeing, left me wondering how we could get them back ‘to their needles’ and to try the variety of yarns in a non-threatening way! And so, the idea of creating a kit or pack to help them to get their groove back, was born. We played around with various textures, colours and ball sizes in order to knit a simple pattern – BUT the result had to be a ‘WOW… did I just knit that? 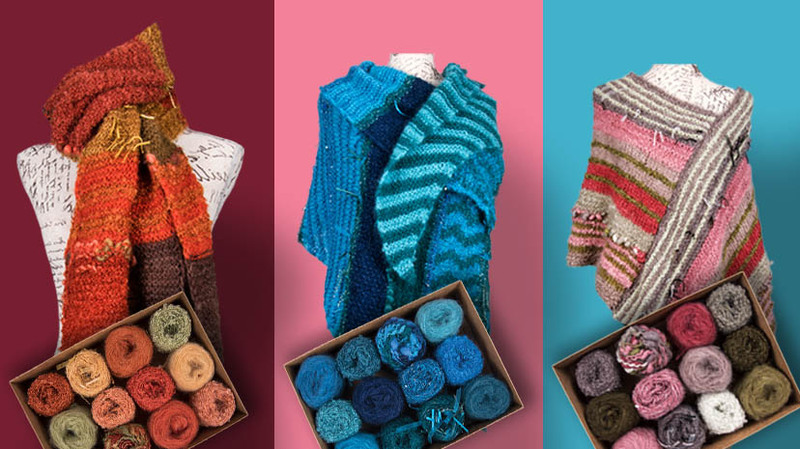 ?’ We tested them on a few friends who had lost the spark in their relationship with their needles, and some that were simply nervous of experimenting with textured and wacky yarns. Well, before we knew it, they were asking for more in this colour and that colour – PLEASE! The feedback was unanimous… they were (and are) addicted! So, we finalised the concept of a kit /pack and got cracking. 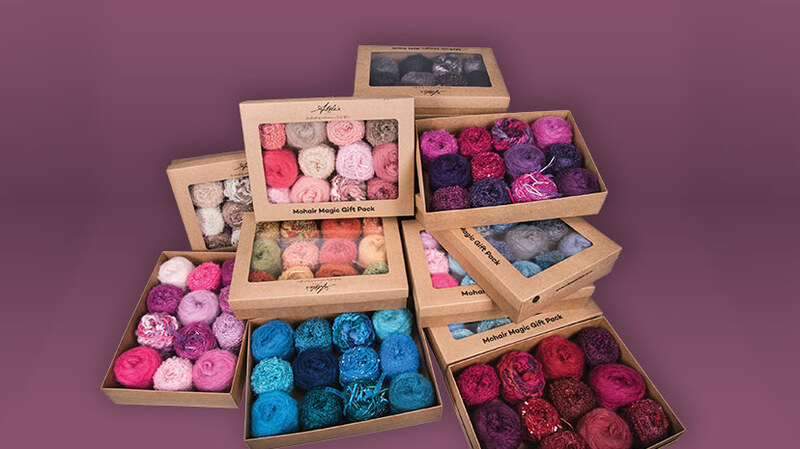 Suddenly, we had 20 different colourways to choose from and 3 different patterns to knit! WOW! WHAT A KNITTING FEAST THIS TURNED OUT TO BE! We eventually found a supplier that was kind enough to customise the box for us – at a price of course – and this is where we ended up! Woohoo! These are currently available from various retail outlets in South Africa and Finland or contact us and we can direct you to the closest supplier. 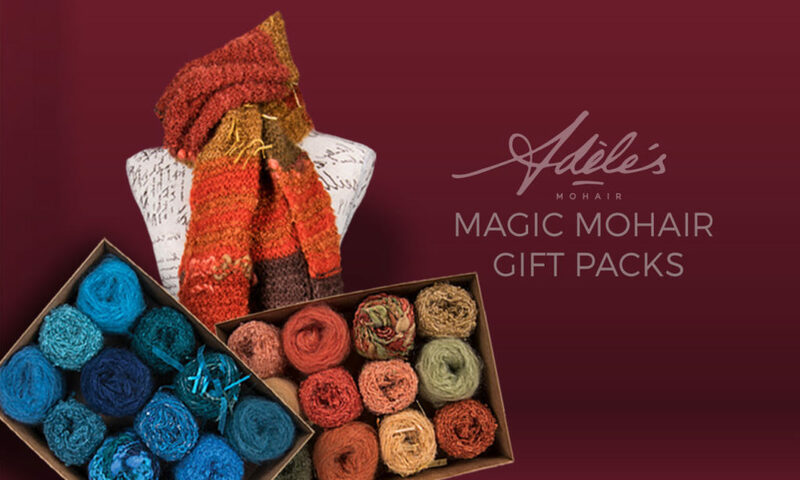 Watch this SPACE for the next generation of Mohair Gift Packs along with new and exciting items to make!